Last edited by the_jersey_lilly_2000 on Tue Jul 31, 2012 11:18 am, edited 1 time in total. Gosh. Hay Maker sure looks different without his hat on. The top picture was mine. 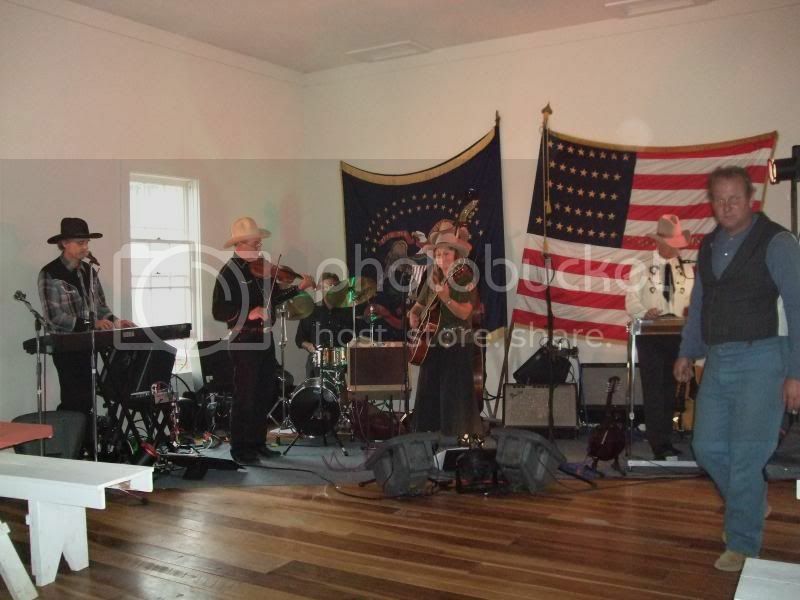 It was a Texas swing band from western Montana playing at Fort Buford North Dakota. It was a hot day in August a couple years ago and Tam and I were on a little road trip for the day and dropped in on an "encampment" / reenactment with the infantry that had been posted there at the time Sitting Bull surrendered at Fort Buford. The musician in picture #2 shouldn't need an introduction. I took that picture at his concert last November at the Prince George CN Centre. Great concert!! Jigger Boss wrote: The musician in picture #2 shouldn't need an introduction. I took that picture at his concert last November at the Prince George CN Centre. Great concert!! I don't get out much, in fact I've been told I'm so reclusive that saskquatch takes pictures of me. I'm guessing it is Gordon Lightfoot. How close am I? JF Ranch is correct, it's Gordon Lightfoot. You must not have gotten out much for a lot of years BMR ... and you're even Canadian. Gordon Lightfoot's music career has spanned more than five decades. Well Gcreek threw me off when he said it was Haymaker with out his hat.